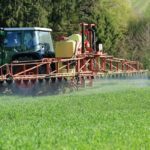 Last Friday, the Swiss parliament ignored a petition calling for a ban on the use of the agricultural chemical glyphosate. 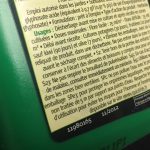 The petition, put together by several associations including Greenpeace and the Romande consumer federation, and signed by more than 25,000 people, calls for a ban on the use of all synthetic chemical pesticides. Switzerland’s parliament doesn’t think that farmers should be forced to stop using these products. 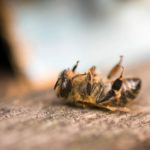 The EU decided in July this year to restrict the use of glyphosate because of scientific evidence suggesting health risks associated with its use. There have been several reports on glyphosate that suggest it could pose health risks. The European Chemicals Agency (ECHA) is in the process of looking at the research and will publish the results of its work by the end of November 2017. ECHA is looking at the intrinsic hazardousness of glyphosate. In March 2015 the World Health Organization’s International Agency for Research on Cancer classified glyphosate in group 2A, described as “probably carcinogenic in humans”. The report says the finding “was based on “limited” evidence of cancer in humans (from real-world exposures that actually occurred) and “sufficient” evidence of cancer in experimental animals (from studies of “pure” glyphosate).” It also states that: “A positive association has been observed for non-Hodgkin lymphoma”. An International Agency for Research on Cancer Q&A dated 1 March 2016, summarises their findings.